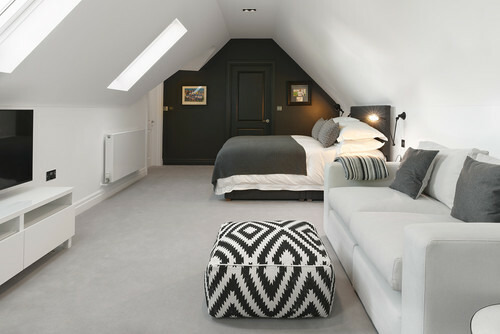 Thinking of a loft conversion but need some interior inspiration? Here are the key trends to take you through to 2019 ahead of the style curve. 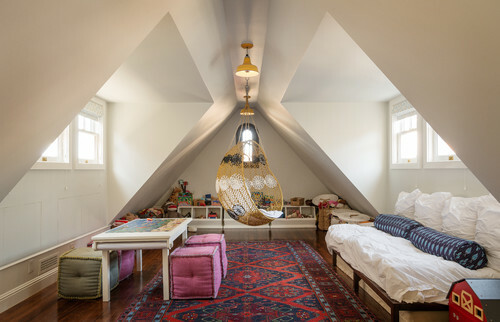 Lofts are the original boho space. Think laid-back California style – wooden flooring, patterned textiles and hipster artwork. If there’s one room in the house that gives you the freedom to embrace your inner hippie, the loft is it. 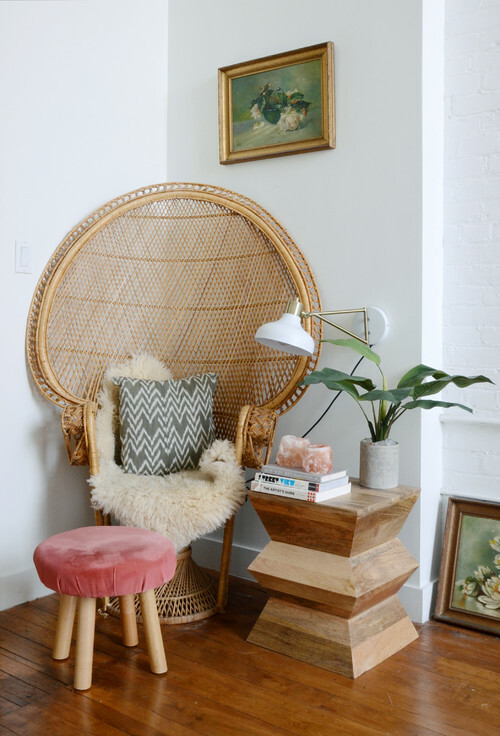 Bohemian style is timeless, but update this classic look for 2019 with contemporary twists like exposed lightbulbs and swinging chairs. Display a retro record player and vinyl albums to create an eye-catching feature with a vintage 1970s look. Monochrome is a big hitter in the style stakes, and it doesn’t appear to be going away any time soon. For 2019 it’s all about bold, dramatic contrasts. We love this elegant black feature wall and door! A lack of colour doesn’t have to be boring – keep your interior exciting by mixing up patterns and textures to create an effortlessly modern loft space. You’ve heard the saying less is more; but when it comes to indoor foliage, forget it! Give your loft a burst of life – quite literally – by adding vibrant house plants. Not only do they look beautiful, the benefits of housing indoor plants include cleaning and oxygenating the air. Style-wise, the more unkempt the better. 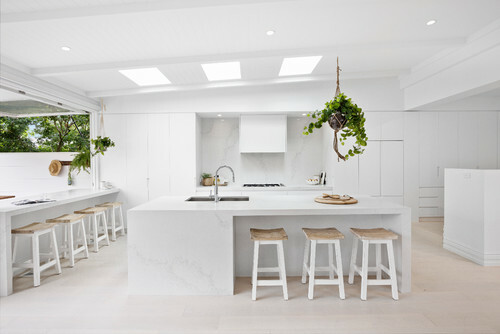 Hanging baskets of overgrown green leaves are particularly on trend, and look great against minimalist decor. 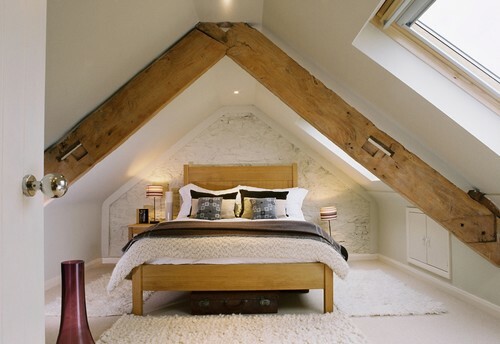 With a space this cosy, you might want to hibernate in the loft all winter! Exposed beams and rustic woodwork create the basis for maximum snugness, especially when combined with thick carpets, fluffy blankets and heaps of pillows. Think countryside lodge – even in the hustle and bustle of the city. You may not have a roaring fire, but you’ll be so toasty in here you won’t even mind. 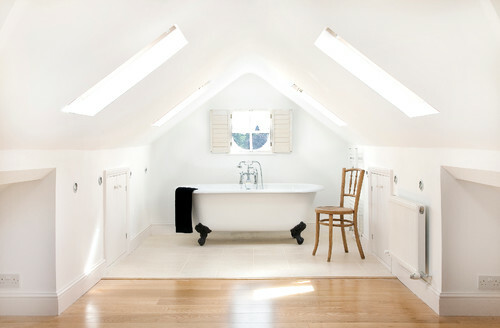 Ever thought about transforming your loft space into a luxurious extra bathroom? Striking freestanding bathtubs are a huge trend, and when added to a loft conversion can create the ultimate relaxation room. 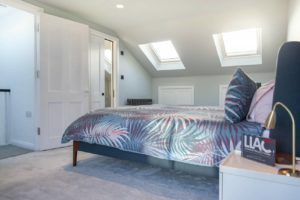 When utilised properly, lofts can provide escapism from the stresses of everyday life – just close the door, light a few candles and drift away. Alternatively, a bathtub could form the basis of a romantic hideaway suite for you and your partner. In Scandinavia, minimalism is key. This ethos works especially well in loft conversions as it creates the illusion of a bigger https://valtvalacyc.com space, whilst a cluttered loft can feel cramped. Top tips for achieving the Scandinavian look are: neutral colour palettes, bright lighting, clever storage and clean lines. 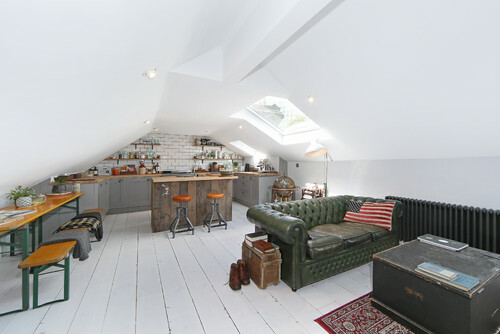 In short, take the idea of a dusty old loft and turn it completely on its head. 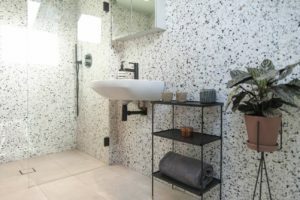 Black may not be the first colour that springs to mind for your bathroom, but think again in 2019! A few splashes of black against more traditional bathroom colours makes for a stunning contrast in your en-suite. It works particularly well on metals – think taps, showers, storage shelves – to create an industrial look that’s bang on trend for the new year. Featuring hints of black in your wall or flooring patterns is another fabulous way to incorporate this trend. It’s time to forget everything you thought you knew about black. Dark and dingy? Never! Vintage style might feel tricky to curate, but don’t be put off. The trick to avoid looking like a mismatched jumble sale is to stick to pieces from the same era. 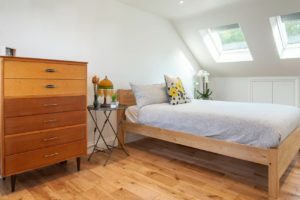 For instance, 1970s vintage is totally on trend for 2019, and with just a few carefully chosen staple pieces you can transform your London loft conversion to a bohemian San Francisco style attic. And the best part? You can pick up vintage pieces for a total steal from plenty of London markets, so keep your eyes peeled and you can start your collection right away! As the saying goes, it’s what’s on the inside that counts… but when it comes to a loft conversion, the outside is pretty important too! 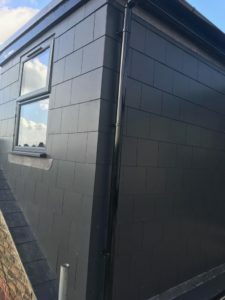 Dark exterior walls on a loft conversion are one of the hottest design trends for 2019, with black rendering or wooden panelling proving popular. Black makes a dramatic statement, especially when contrasted against the rest of the property – and the neighbours. It’s one way to stand out from the crowd, that’s for sure!